The User Role Security Class Form query easily identifies the forms and rules assigned to each Lawson User. Filter, sort or group by any of the available columns. Then export your query to MS Excel, Adobe PDF or simply print a report. A similar report is also available for all security objects. 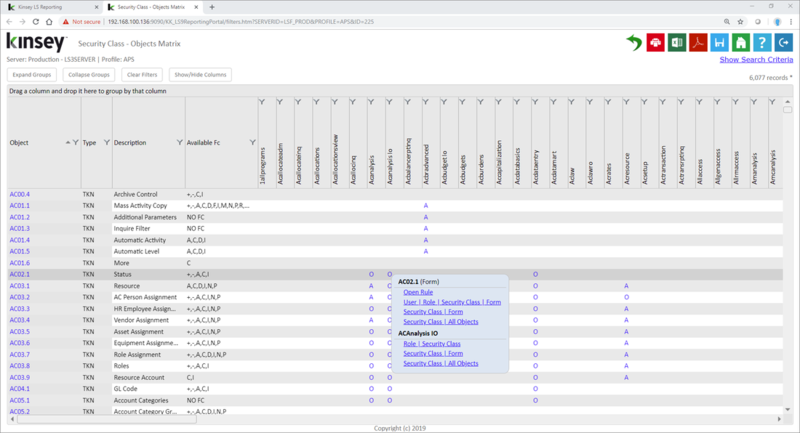 The Role Security Class All Objects query displays the detail rule assignments for each Role. Filter, sort or group by any of the available columns. Then export your query to MS Excel, Adobe PDF or simply print a report. 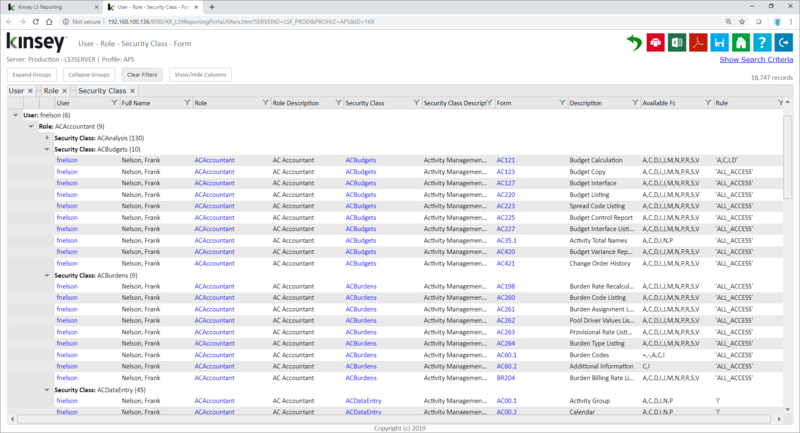 The Security Class All Objects query displays the detail rule assignments for each Security Class. Filter, sort or group by any of the available columns. Then export your query to MS Excel, Adobe PDF or simply print a report. 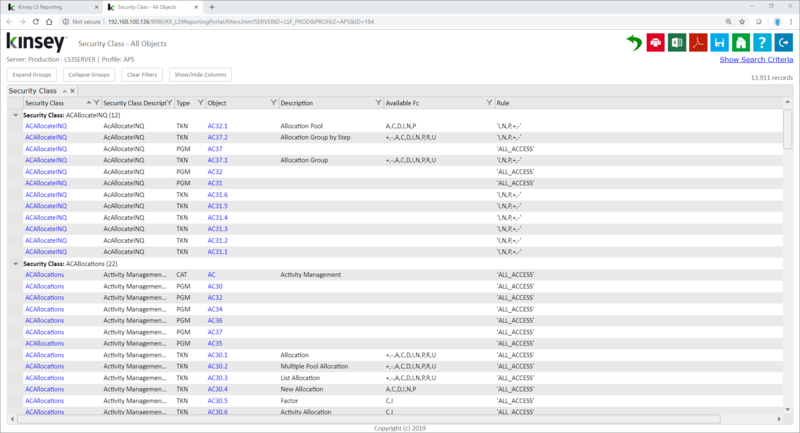 In 2018 we introduced our Matrix queries to help simplify the process of identifying and reporting on User information in Lawson Security, Easily view, export or print User assignments for Roles, Groups, Attributes and Identities. The User Role Matrix easily identifies the Roles assigned to each Lawson User. 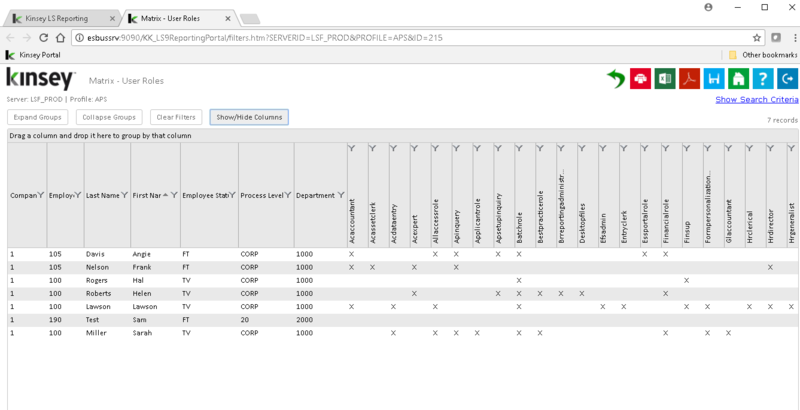 Filtering on a Process Level, Department or Role helps restrict the report to just the information you need to see. ​You can easily export your query to MS Excel, Adobe PDF or simply print a report. The User Identity Matrix displays the Identity settings and any missing Identities for each Lawson User. Filtering by any individual Identity helps restrict the report to just the information you need to see. You can easily export your query to MS Excel, Adobe PDF or simply print a report. The User Attribute Matrix displays the Attribute values and any missing values for each Lawson User. 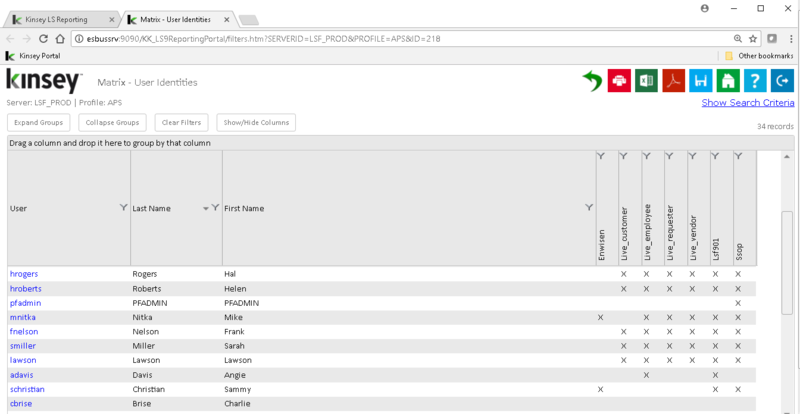 Filtering by any individual Atttribute helps restrict the report to just the information you need to see. 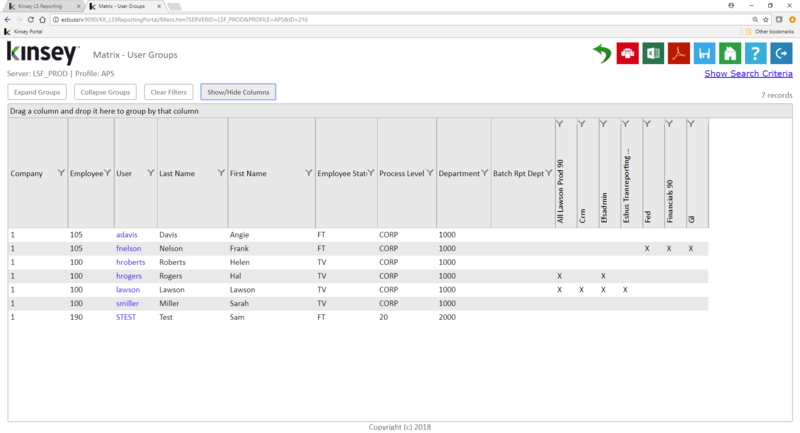 You can easily export your query to MS Excel, Adobe PDF or simply print a report. The User Group Matrix easily identifies the Groups assigned each Lawson User. 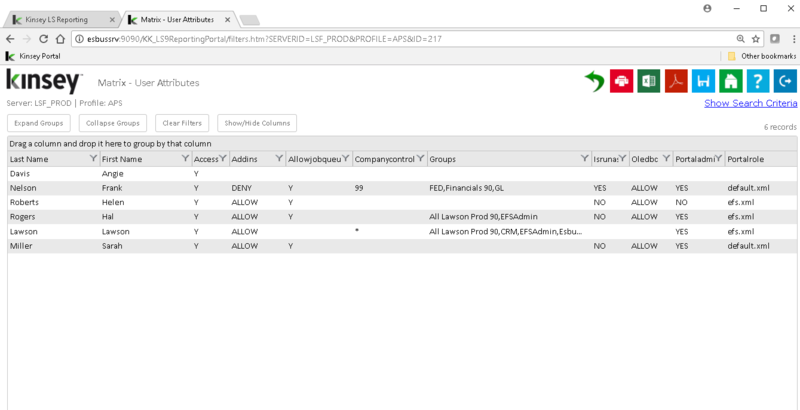 Filtering on a Process Level, Department or Group helps restrict the report to just the information you need to see. ​You can easily export your query to MS Excel, Adobe PDF or simply print a report. 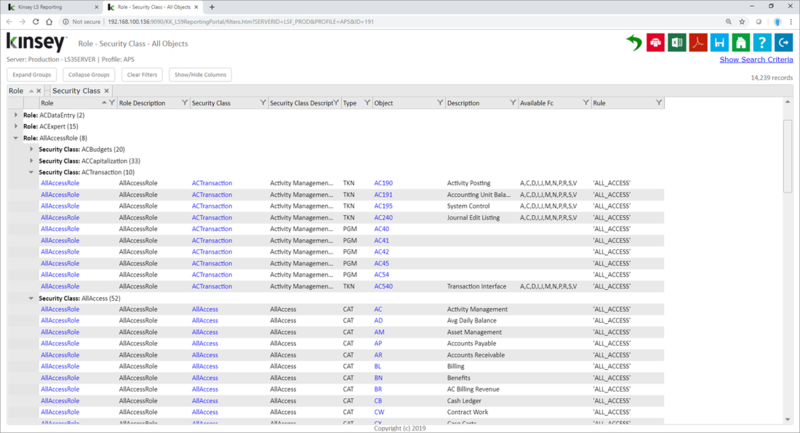 The Security Class Object Matrix easily identifies the access assigned to any object type. The level of access is displayed as A for All Access, I for Inquiry Only, C for Conditional Logic or O for a combination of Function Codes. You can then easily drill to various reports by object or by the objects permission setting.